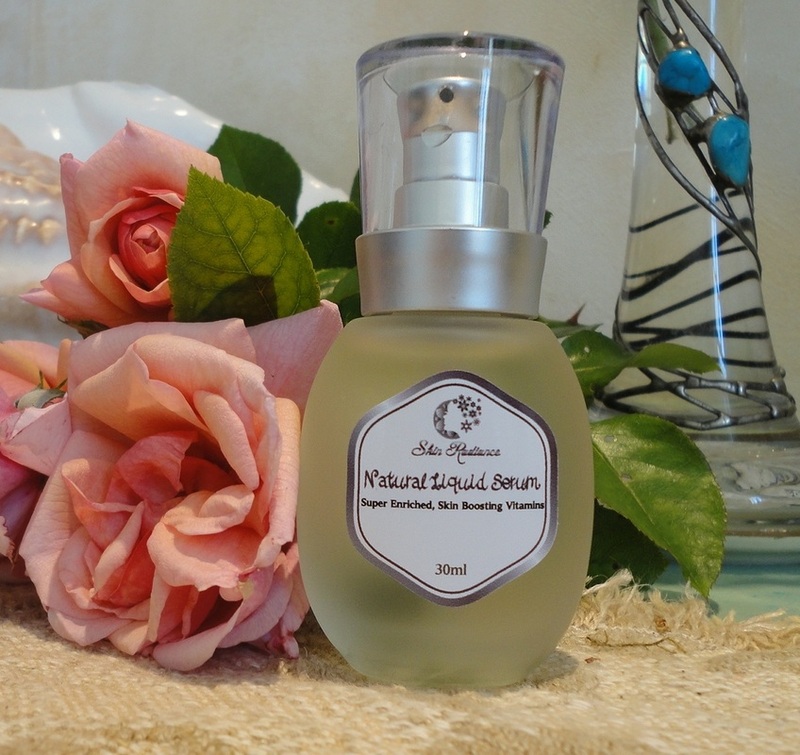 This silky and lightweight serum has a lovely, fresh perfume and is suitable for both men and women. Very gentle on my sensitive skin. I can use it without problems even on the tender skin under the eyes. As usual, a serum like this one improves the effectiveness of the cream that follows. For the daytime, I use a hydrating lotion and foundation, or a BB cream. The serum absorbs immediately and leaves no oily residue. It keeps my skin fresh all day and it also refines my pores. At night, I follow with a stronger night cream. Powerful, natural ingredients (mostly organic), no artificial, noxious additives, and not tested on animals. After twice-daily regular use for a month, I am really happy with the results. My skin seems fresher and a little firmer. I can see an immediate improvement after each use. Fine lines look less noticeable, and it's refreshing to use. I love the large bottle (100 ml, which is quite a lot for a serum!) I wasn't sure about trying it, given the relatively low price, but I will buy this again. It's a lovely serum that goes well with my other skin care products. A gorgeous, silky serum that feels like a lotion, smells heavenly and is like nothing I've ever used before. It acts like a drink for my ageing skin. I can actually see a difference, the moment I spread it, especially over the difficult area around my eyes (yes, it's gentle enough to use all over the face). Also, it makes whatever I layer on top work much better, which is exactly what a serum should do. It prepares my skin for the active ingredients of the moisturizer that follows. It is also a perfect base for makeup, balancing the different areas of my mixed skin so that the foundation goes on smoothly and stays shine-free. Bees are particular favourites of mine, I even grow lavender and other small-flowered plants so that they may have a source of food. When I saw that Royal Jelly was the main active ingredient, I could hardly wait to try it. After my usual 3-4 week testing period (using this serum exclusively in place of any other serum), I am delighted to share my complete satisfaction. In fact, it is something I would certainly want to buy again. The serum is manufactured in France and I know very well how serious the French are about the purity of skin care formulations. 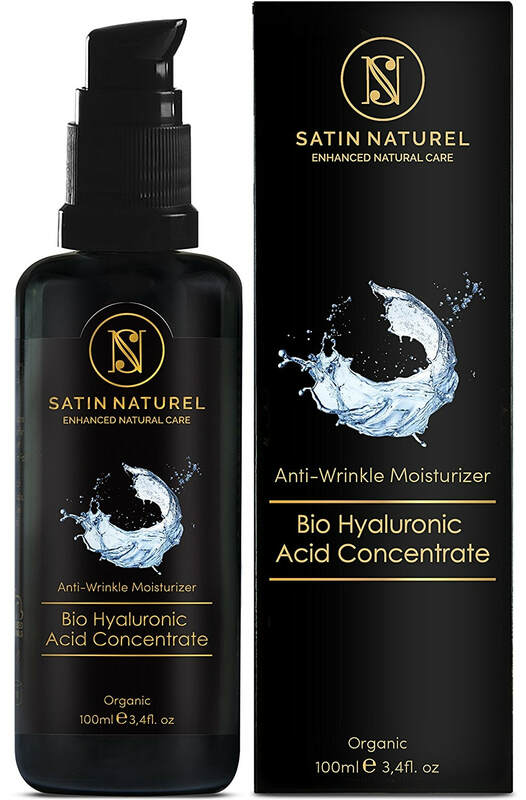 There is a full list of ingredients on the Amazon product page, so there is no need to repeat that here, but you can see that most are extracts of plants and flowers, including honey, sage, lily and the essential anti-ageing element, hyaluronic acid. This company (based in Ireland) also offers a 1-on-1 consultation with a beautician, which I think is a really nice, personal touch. The serum is a thick, milky liquid, dispensed accurately by a pump, from a frosty glass bottle containing 1 fluid ounce (30 ml) of product, which is generous as far as serums go. From experience, this will last me 2-3 months with twice-daily applications over my whole face and neck, so the price is very reasonable. This product ticks all the boxes for me: 99% natural ingredients, 95% of the vegetable ones are organic, not tested on animals, no parabens and none of the most common artificial additives, perfumes and colouring. But, after all is said and done, the main thing is that it works beautifully and I love using it. This delightful bottle contains a fantastic blend of essential oils, specially designed as a soothing and nourishing serum to cool and pamper your skin right after derma-rolling. Even if you are not into derma-rolling, you should still benefit greatly from this product as it has so many of the most effective but natural ingredients to address ageing and skin imperfections. Last time I counted, I had 46 essential oils in my collection. I love to mess around with them and mix my own “potions”. In consistency, this serum is just like one of my own creations, only properly balanced and professionally produced. Even though I use a light touch, after a needling session my face is always a bit tender and, since I've been using this serum (two months now), I have noticed that it takes only one day for my skin to recover, instead of two-three. It also gives me confidence that what I'm using is safe and natural at a time when it's particularly important to avoid chemicals and dodgy ingredients. I like to leave the oils in this serum to work through for as long as possible but, if I have to go out and apply make-up, it's easy enough to remove any residual shine with a little rose water or toner. The bottle may seem small but 30 ml is pretty standard for a serum and, just like pure essential oils, only a tiny amount is needed for each application, so it's lasting me a lot longer than I anticipated. I also appreciate the seemingly unretouched photo of a beautiful, mature woman's face used in the advertising, instead of the usual 20-something. I received a sample of this product for an independent evaluation and am grateful to the maker of Skin Radiance for never once chasing after my review in the two months it has taken me to produce it. I'm sorry to say that this highly-touted, award-winning serum failed to impress me. Sorry because we all like to believe in a miracle cure, and sorry because I wasted a fair amount of cash. I started using this product at night, topping it with a night cream as per recommendation on the box. Because, by its nature, a serum is a carrier (i.e. 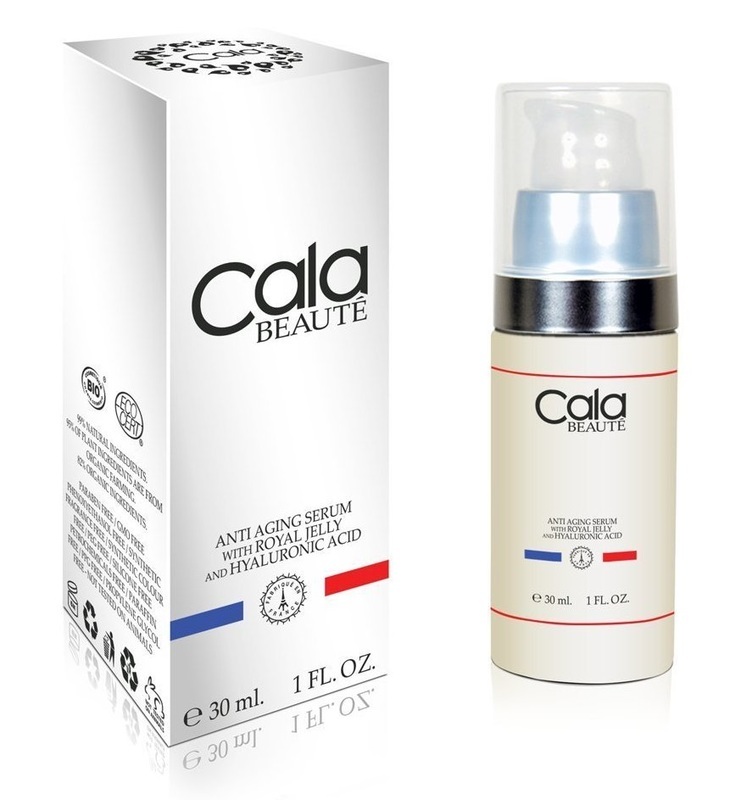 it prepares the skin for the active cream that follows) it is difficult to evaluate its effectiveness in isolation. The only way is to compare results between the combo of the serum plus cream, versus the cream alone. Since I had not noticed any quantifiable results after two months of regular use, I carried out an experiment: I applied serum plus cream to one side of my face, and cream alone to the other. After two weeks of nightly use and comparisons, I could not see any difference between the two (which suggests to me that the serum was not doing much). 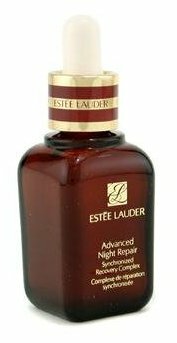 I continued to use up the bottle (as it had been such an expensive purchase) but, sadly, my skin did not respond any better. I have since had the opportunity to try other, less expensive serums which have given me much better results. It may well work for other people, but when a product makes such extravagant claims, I expect to see at least a moderate improvement. The only good thing is that the 30 ml bottle lasts a long time. However, since it does very little, that's a doubtful benefit. UPDATE: I keep getting asked if I bought the Complex II, and the answer is NO. At time of purchase, the product offered was the original Complex. The product page has been updated but many reviews were written about the previous, original product. Also, the selling price is now half of what I paid which makes a bit of difference to the overall satisfaction rating. This serum is a little thicker and silkier than others I have tried. It has a subtle fragrance, almost imperceptible, making is perfectly suitable for gents as well as ladies. And we all know that “real men” have started to claim the right to take care of their skin with something more targeted than a splash of generic aftershave, or no-name moisturizer. The creamy texture and heavier body give you time to massage it into your skin before following up with an active moisturizing product. I have been applying three pumps from the Age Defy bottle (that's really all I need) and massaging into my face and neck before applying a moisturizer. The whitish gel is made with natural, non irritating ingredients and I find I can use it without any problems over the eyelids as well as on the fragile skin under the eyes, unlike some preparations which sting and are not even recommended for such carefree use! I'm not going to say that it's the best serum I've ever come across because, to be frank, I have been using amazingly good skin care products for many months now, so my standards are very high. 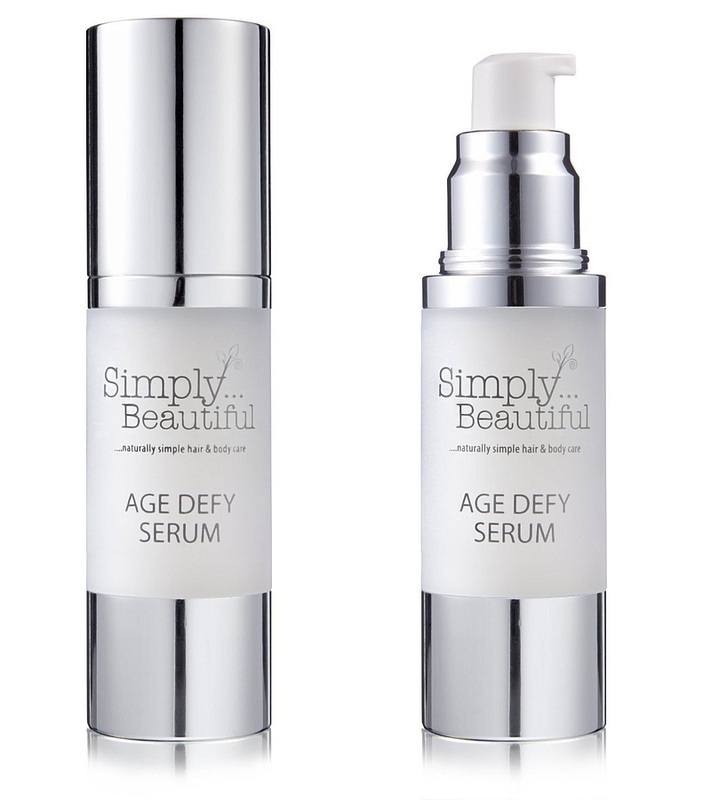 I will say that the Age Defy serum is a good product, particularly suitable for use in the morning as it helps my moisturizer really sink in and the combination makes a good base for the tinted primer I currently favour. Based on my experience with this and similar products, I would recommend this serum for women and men from 30 to 50 years old. At this attractive price, it delivers good value for money and actually works better than more expensive brands.